Designed in a sleek lightweight aluminum body for amazing control, single handheld usage and excellent portability. The P8 Cordless Vacuum Cleaner is equipped with 2-speed suction settings and Turbo Suction power for dealing with larger debris. Simply press to toggle and change the speed of suction. The high speed revolving soft carbon fiber brush ensures deep cleaning on all surfaces and all floor types. 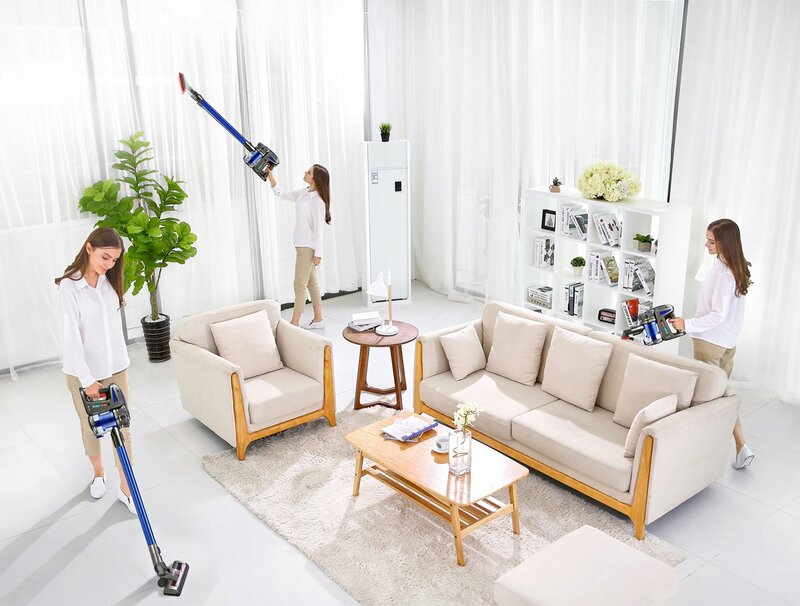 It cleans well in hard to reach areas, narrow spots, under the bed and sofa, or even in between the cushions of your sofa as well as the curtains. The package includes 4 different brush attachments that work well in various scenarios allowing up to 8 different setups for all your different needs. Equipped with a battery and charging indicators. It also comes with a wall mounting feature allowing you to save space on storage, while its sleek and elegant design will surely compliment any home decor. Converts into a handheld cordless vacuum cleaner for versatile floor-to-ceiling cleaning at only 4.5 lbs. 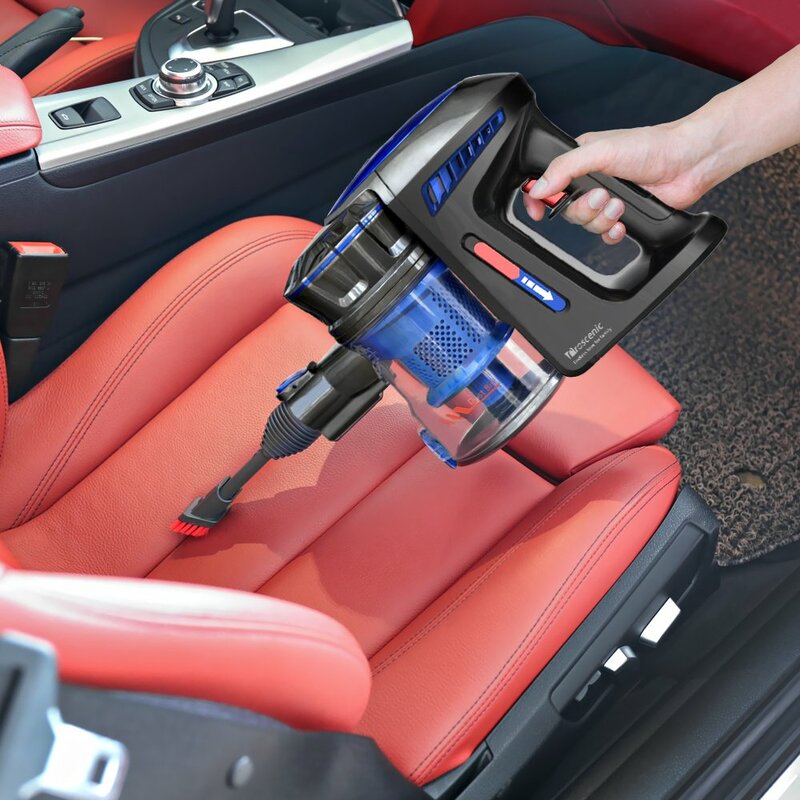 Highly versatile, ultralight, cordless design cleans across different floor types and converts to a powerful hand vacuum for easy cleaning of cars, upholstery, stairs, and other hard-to-reach spots. Convenient fingertip touch control design, to easily switch between carpet and hard floor cleaning modes.